The 416 Fire grew only 16 acres in three days, according to the most recent mapping released Wednesday. Fire managers expect the blaze to show more activity in the days ahead as flames consume interior pockets of fuel and test containment lines. The Rocky Mountain Incident Management Type 1 Team will hit its 14-day limit for working a fire at the end of the day Thursday, and management of the 416 Fire will shift to a National Incident Management Organization, a NIMO team, on Friday. The NIMO team from Portland, Oregon, will shadow operations of the Rocky Mountain Team on Thursday and assume management of the 416 Fire on Friday morning. The NIMO team will continue to supervise more than 600 firefighters currently working on the wildfire. A NIMO team is structured to manage long-duration fires, ideal for managing fire in the remote country, such as the western side of the 416 Fire. That area has few structures at risk, and this section will continue to hold fire until it expires naturally, likely during the monsoon season, according to news release issued Thursday night by the Type 1 team. The Burro Fire will transfer to a Type 3 team at 6 a.m. Thursday under the jurisdiction of the San Juan National Forest. Hot-shot crews completed the indirect fire line on the Falls Creek Ridge on Wednesday. Wednesday afternoon, some unburned islands in the burn area and small areas near the direct fire line developed plume-producing hot spots, according to the news release. Three helicopters dropped water on these spots, and a squad of hot shots worked with hand tools to mitigate the area. Crews will hold and patrol through this increase in fire behavior before continuing improvements on the fire lines, according to the news release. On the north and northeast side of the fire, firefighters continued to clean previously cut logs, and chipping operations took place. Crews continue to remove unneeded equipment and rehabilitate these areas. 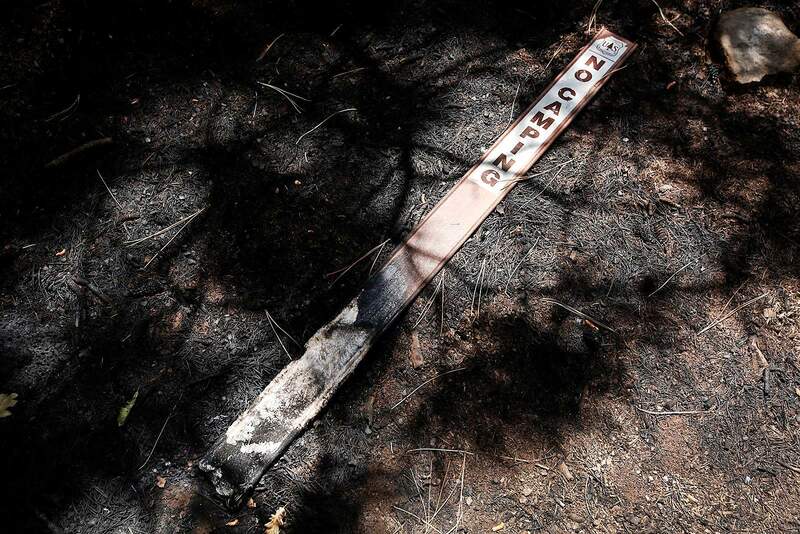 The 416 Fire, about 10 miles north of Durango, started June 1. Thursday night, the Type 1 team listed the size of the 416 Fire at 34,177 acres and at 37 percent containment. Personnel fighting the fire is listed at 632. The cause remains under investigation. Resources dedicated to the 416 Fire include seven Type 1 hand crews, four Type 2 hand crews, 16 engines, nine bulldozers and two water tenders. Air resources include two Type 1 helicopters (including a Blackhawk helicopter), two Type 2 helicopters and one Type 3 helicopter. Two fixed wing tanker aircraft also are available. Fire officials expect hot and dry conditions to return in the days ahead, though they don’t believe winds will play as big of a role as they did previously. Crews anticipate worsening weather conditions will test the strength of containment lines. The 416 Fire grew only 16 acres Wednesday, the first reported growth in three days. The northern edge has reached an area vegetated with what firefighters refer to as “transition fuels,” or fuels that are harder to burn. The Burro Fire had limited growth as well on Wednesday, growing only 26 acres. It totals 3,741 acres as of Wednesday and is 53 percent contained. Open this map full screen.